These tools will help you approach analytics for your iOS app by providing testing and measuring engagement, retention, and other metrics. It seems that there continues to be more and more mobile analytics tools every year and the same goes for 2017, and it’s hard to know which one to use for your iOS app. Realistically, you’re going to use more than one analytics tool. Developers tend to use a variety of analytics tools to help them get a holistic view of their iOS app. Each tool will offer you a unique view of your app and how it’s performing. We did an extensive research of the top iOS app analytics tools for 2017 used by iOS developers. We found these 11 to be the best. Platforms Supported: iOS and Android. Firebase is Google’s app suite for mobile developers. Not only can you access your mobile app analytics, but you’ll also be given the tools to develop your app on their platform. But at the heart of Firebase is the analytics solution which gives you one dashboard to view user behavior and cross-network campaign performance. You can also export raw data to BigQuery for custom querying. Platforms Supported: iOS, Android, web, and mobile web. Appsee is a unique platform that not only provides you with your traditional, quantitative analytics, but also your qualitative analytics. They give you your visual data with touch heatmaps and user session recordings. This is an additional layer to your numerical data which helps answer the “why” behind the numbers. Platforms Supported: tvOS and iOS. With App Analytics on iTunes Connect, you can see all your iOS and tvOS data from user engagement to marketing campaigns. It’s included with the Apple Developer Program membership and does not require any technical implementation. This is, of course, a good platform for iOS developers, but it’s important to also consider other tools which can give you more data about your iOS app. Platforms Supported: iOS, Android, Windows Phone, BlackBerry, mobile/web. Flurry Analytics provides analytics for businesses to monitor user behavior across multiple mobile applications. You can view data from multiple apps to get a holistic view of performance and easily compare your iOS and Android versions. Platforms: iOS, Android, Fire OS, and Unity. Platforms Supported: iOS, Android, Windows Mobile, BlackBerry, and web. Platforms Supported: iOS, Android, and web. If you’ve got the money, then Adobe is your solution. 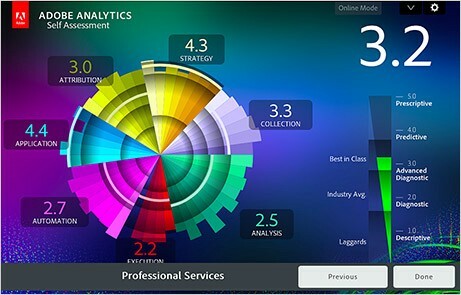 Priced for Enterprise clients, Adobe is the creme-de-la-creme of analytics. They’ve got a comprehensive suite that will provide you with real-time analytics and detailed segmentation across your channels. Well, there you go. If you’re looking for an analytics solution for iOS apps here’s the top 11 list for 2017. These tools will help bring your iOS app analytics to a whole new level. And it’s okay to pick a few because they will only help enrich your data. So consider getting a more traditional analytics like Firebase or Mixpanel as well as a qualitative platform such as Appsee. Then you’ll truly have a well-rounded view of your iOS analytics moving into 2018. Published at DZone with permission of Emily Goldring , DZone MVB. See the original article here.